Writing Quality Content & Optimizing Content with Keywords is not well enough to rank your blog higher in Search Engine Result Pages. If your blog niche has more competitor in Search Engine, then attaching Off-Page SEO Techniques juice on Quality Content is surely going to help your blog to grow higher in Google. If you have quality user based content then here you are going to learn how to generate Quality Backlink with Off-Page SEO Tips for your blog. With this blog-post, you will know how to start link building from high authority websites to increase the visibility of your blog in Google. But before exploring Off-Page SEO Techniques, let's add some knowledge about High-Quality Backlink. Why Backlink is necessary for your blog? In the process of crawling and indexing of different sites for any searched queries, Google first sees tags, keywords used, content and whole On-Page SEO, and select one with high backlinks. Further, If a person searches specific keyword "On-Page SEO" then search engines start crawling and indexing all the site's URL link relevant to that searched keyword. Here if google find top 5 sites all having better content, better on-page optimization then google choose a site with high-quality backlinks and display it. Link Building is a backbone of Search Engine Optimization, and Backlinking comes under Off-Page S.E.O. In another word, Link Building is passing high-quality referral traffic juice from other high authority websites. Normally, there are two types of Back Linking method: First one is Do-Follow Back Linking and next one is No-Follow Back Linking. We have to use both methods in the ratio of 70:30 that is "use 70% of Do-Follow and 30% of No-Follow. No-Follow is a just simple method here we put hyperlink or anchor text of another site on our page and that will be redirected to another site but in this method, a site will not be ranked and the search engine does not give priority to No-Follow Back Links. Next is Do-Follow backlinking, Do-Follow tells a positive message about our site to search engine. And there are two types of Do-Follow backlinks: High PR and Low PR Do-Follow backlinks. 1 High Authority Back Links=100 Low Authority Back Links. Always generate backlink from those websites whose ranking & authority is more than yours. All the optimization techniques performed outside of your own website or blog to improve ranking position on Search Engine results page is referred to be Off-Page SEO (also known as "Off-Site SEO"). Off-page optimization makes strong visibility of your site on the web by making your site more popular among users on the Internet. Posting blog on another website with High DA/PA as a guest is most beneficial Link-Building techniques to get High-Quality Do-Follow Backlink. Guest Posting is paid task, only some of the professional bloggers allow free Guest Blogging. Then what benefit you can drive to your blog with Guest Posting? If a blog where you are contributing guest posts has High Ranking & Authority then obviously audience network is also strong. You can attract these followers with a guest post to your blog. Website owners will allow putting your one of blog-post link on the guest post. You can build a link with Main Keyword of your blog that will also improve search engine ranking with High-Quality Do-Follow Backlink with Guest Posting. Forum Posting sites are a free platform for Blogger to grow their audience. Not the only follower you are also going to build the link with a forum discussion, by giving a quality answer to the other user question with your blog-post link. Read also, How to Promote Blog on Quora to grow Higher in Google? Forum Posting sites like Quora, v7n are popular forum discussion sites where it is easy to promote your blog for backlink, follower & traffic. Directory submission means to submit your site to some online web directories to get Quality Backlinks. You can use Regular Free services or Free Regular with the Reciprocal link or Paid Services on Top Directory Submission sites with High DA. Search Engine like Google also uses these Online Directories while crawling and indexing to display your site on its result page. Sharing Images, Post Link, Videos & other multi-media content is allowed with Social Bookmarking websites. Social Bookmarking is also like Forum Discussion, you can join different chat groups or forum discussion to promote your blog. Reddit is the most popular Social Bookmarking Site with High DA/PA, it helps to grow your blog with more Traffic & Backlink. Join famous subreddit that is relevant to your blog niche & start link building with blog promotion & forum discussion. One of the traditional Off-Page SEO Techniques for Link Building is blog commenting but is still working better in 2018. Most of the sites give No-Follow Backlink but with these sites, you can also build link. You can promote your blog with comments. Blog Commenting on High DA Sites with Comment Luv plugin works better in these years, it will be much better if you are getting referral backlink juice with websites that are relevant to your niche. Stop link building from instant approval blog commenting sites since anyone can build link so there may be also spam links on these blogs. Such a blog may be also penalized by Google because of spam links & comments without any value. Facebook & Disqus blog commenting also doesn't work because most of the blogger use Facebook & Disqus to reduce their website spam score. 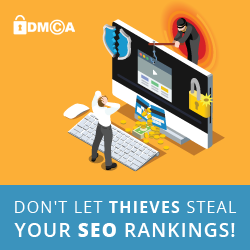 Always choose websites with High DA while Link Building with Off-Page SEO Techniques. Never spam other websites with spam comment because it affects trust with other bloggers. Never over optimize your blog with a number of backlinks. Thanks for sharing nice information. It's really helpful. SEO Service Thanks for taking the time to discuss that, I feel strongly about this and so really like getting to know more on this kind of field. Do you mind updating your blog post with additional insight? It should be really useful for all of us. Thank you for your suggestion. Yeah Sure, I will post more stuffs.